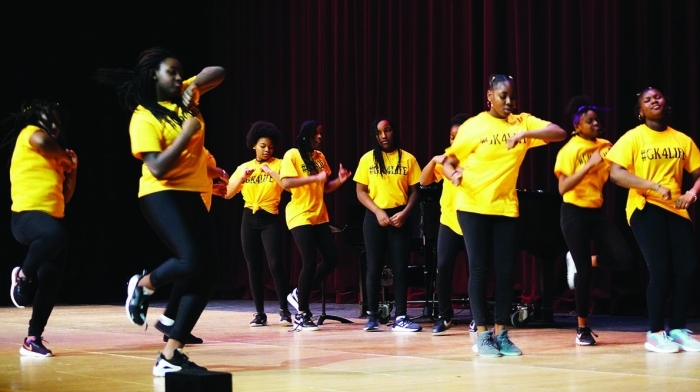 A social action form honoring Dr. Martin Luther King Jr. was held on Jan 19 at the Performing Arts Center. The central message which Percy Brown, Jr. and his uncle, Charles Brown, brought to the audience was struggle experienced in the desegregation of schools in the South in the years following the Supreme Court ruling in Brown vs. The Board of Education. Charles Brown, originally of Rosedale, Mississippi, who recently celebrated his 44th year as a college instructor at Madison College, gave a heartfelt testimonial to his life as a young man who was a participant in the desegregation of his school. Charles Brown said, “There are thousands of stories like mine, but they’ve never been told or shared. I was faced with many hardships and seemingly insurmountable barriers and struggles during the ‘60s. I was born and raised in a segregated town that did not allow white and black children to go to the same school.” He explained the challenges of being one of the first black children in his town to enroll in the all-white school, how his teachers discouraged him, and how he couldn’t compete in athletic events due to death threats. After Charles Brown painted a picture of the early years after Jim Crow laws were struck down, Percy Brown, Jr. shared about how these struggles continue today Percy Brown, Jr. comes from a family of civil rights activists who fought for equal rights in the South during the 1950s and ‘60s in Bolivar County, MS. Percy’s father, uncles and aunts were part of the first wave of blacks to desegregate white schools. Brown, Jr. spoke about the challenges of integrating into the all-white Memorial high school in Madison in 1984. He clarified that the need for integration, per Brown vs. Board of Education, is still needed today, and that there is the inverse problem to segregation, in which white, wealthy people flee the inner city and schools and move to the suburbs, leaving city schools which are now underfunded and lacking in equality of education. 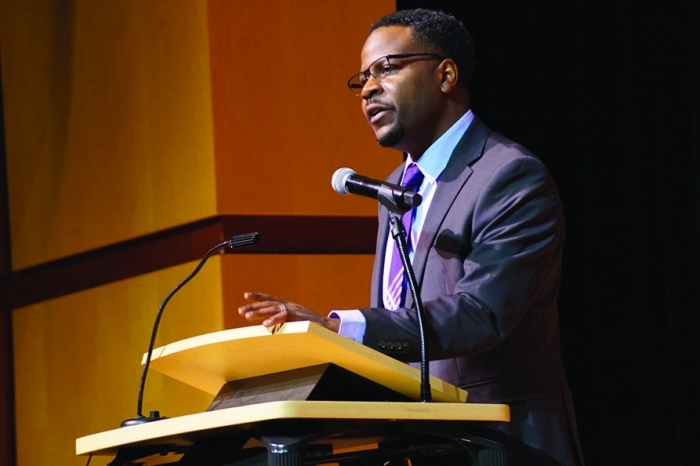 Critical Consciousness will present the Black Excellence Lecture Series with Percy Brown, Jr., and other presenters on Tuesday nights during the month of February at Kromrey Middle School cafetorium in Middleton.